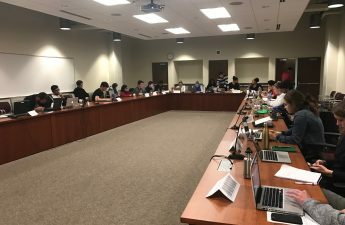 By many accounts, the current and 23rd session of the Associated Students of Madison Student Council is one of the most diverse the University of Wisconsin has ever seen. Organizations across the globe increasingly seek diversity in their leadership, and student government is no exception. In some ways, ASM has fostered a level of inclusivity and diversity in its leadership that would inspire envy in many organizations, but it is by no means perfect. As more underrepresented students make their voices heard, some say they continue to be left out even as old tensions between ASM and underrepresented communities continue to be mended. ASM doesn’t record any demographic data on its members, making it difficult to precisely measure demographic changes that have taken place since its inception in 1994. But by using interviews with current and former members, reviewing old news coverage and internal ASM records, it’s possible to develop a good sense of how diversity has evolved from just a goal to more of a reality in student government. 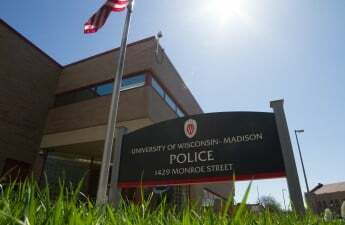 ASM and its predecessor, the Wisconsin Student Association, have a long history of being composed predominantly of activists, 1990 WSA Chair and current District 4 Ald. Mike Verveer said. 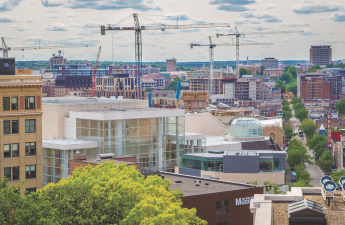 But even in 1990 when UW’s enrollment of women, Latinos and Asian-Americans were steadily on the rise, the levels of diversity were nowhere near today’s. Former ASM member Leland Pan said in 2007, ASM began to shift away from a model favoring activism and toward a policing model that more closely resembles an actual governing body. This departure would go on to strain future attempts at fostering trust between ASM and underrepresented student communities. “It became very much about the procedure of how things meet the regulations and it became less a model of empowerment,” Pan said. Before the 2007 session, ASM had been more concerned with supporting grassroots movements and student organizations oriented toward social justice, Pan said. ASM had held a more laissez-faire attitude for spending characterized by liberal funding allotments for organizations, both Pan and Verveer said. From 2007 on, ASM shifted toward operating as a regulatory body rather than a platform for organizing. 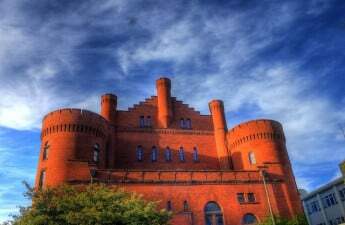 Specifically, Pan said student government began to hold itself more accountable for the way student fees were allocated, beginning with waiver requirements for funding in excess of $250,000 and ending with the comprehensive set of rules now used to prescribe Registered Student Organization funding. 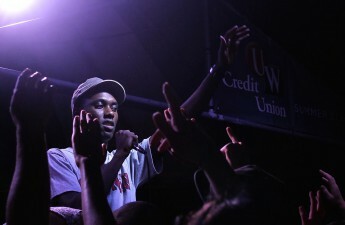 The shift in focus led to a cut in funding for activist organizations like the Multicultural Student Coalition in later sessions, which previously had received hundreds of thousands of dollars in General Student Services Funding. For example, in 2011, the Student Services Finance Committee denied a $1.27 million funding request from the coalition leading it to file a case with the student judiciary committee. The cuts in funding altered ASM’s relationship with underrepresented communities. It created a level of distrust that still exists today, said Ali Khan, a sophomore studying political science and chair of ASM’s Equity and Inclusion Committee. Khan and others in ASM continue to work to mend divides which remain when working with underrepresented communities. 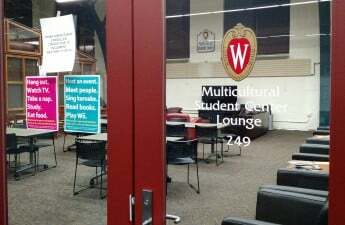 At a glance, the diversity in backgrounds found in ASM does not mirror the demographic background of UW as a whole, mainly due to the organizing done by the Blind Side, a group aimed at securing more seats for people of color within student government and supporting social justice initiatives. Blind Side members took 10 of the 29 student council seats this during spring 2016 elections, though two have since resigned this fall. But even with the large number of underrepresented voices within ASM, the body still has received accusations of tokenism, the practice of accepting people from underrepresented groups to simply appear diverse. 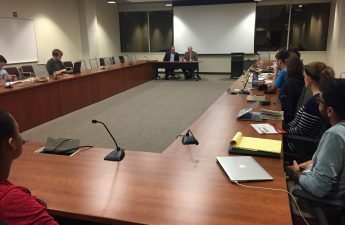 ASM has also encountered criticism for not including enough representatives from less visible student communities like transfer and homeless students. Before being impeached from SSFC for attendance reasons, Tyriek Mack, a junior majoring in elementary education and Blind Side member, accused members of tokenism for supporting his removal. At the individual level, Khan said he does not believe ASM has a problem with tokenism. 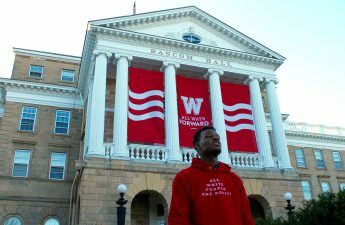 Diversity and inclusivity have been achieved through organized grassroots efforts of marginalized UW communities to get elected, he said. Khan pointed to the recent Blind Side victories as a strong case against the accusation of tokenism. It’s important to still remember that diversity is a never-ending goal and ASM does have many areas that need improvement, Matt Wulf, a sophomore studying political science and the outreach director of ASM, said. 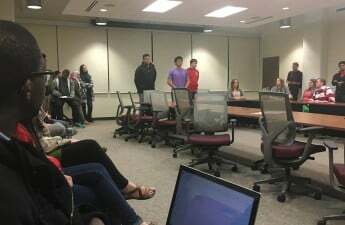 Specifically, he pointed to the lack of representation of homeless students on student council as one area in need of improvement. 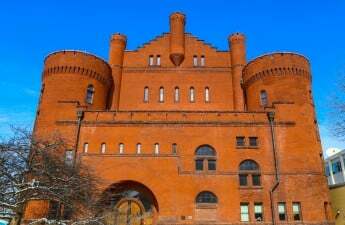 Brooke Evans, a transfer student studying philosophy and neurobiology who has struggled with homelessness during her time at UW, said there is a dire need for representation of students facing homelessness as well as for transfer students. She said while there is an appearance of extensive diversity on student council in terms of racial and religious backgrounds, there remains a disconnect between many communities and the body. 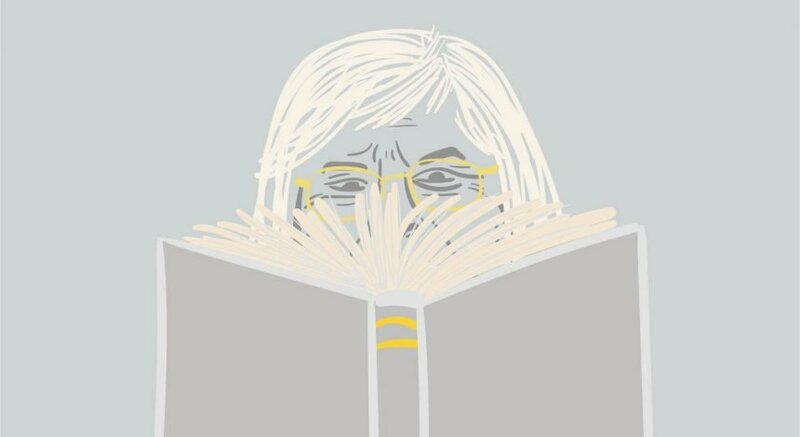 “There’s no representation of transfer students … there’s no representation of nontraditional students, there’s no representation of disabled students [in ASM],” Evans said. To this end, Evans said she is working with ASM to introduce a student council seat for transfer students, which would represent more than 1,000 students according to Fall 2016 enrollment data. She said transfer students often face hardships due to the lack of shared culture and community derived from dorm life which is compounded by ASM’s current lack of outreach. Khan said ASM finds itself grappling with the same issues that plague many colleges at the administrative level — the unintended concentration of underrepresented people in committees and departments designed specifically to address issues of equity. On the student government level, many minority students elected end up serving on the Equity and Inclusion Committee. This high concentration has two likely causes. Underrepresented people tend to have the greatest interest and experience in issues of equity and inclusion and white students often feel they are not qualified to tackle these issues, Markus Brauer, professor of psychology, said. 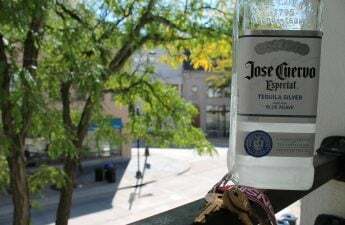 While there is no inherent problem with this kind of clustering, it has the potential to curb some of the benefits which might otherwise be derived from diversity spread out among other student government committees, Khan said. Khan said he would rather see conversations about social justice issues spread out among the committees than concentrated in one. He sees the same concentration issue when engaging with UW administration. Staff for departments like the Division of Diversity, Equity and Educational Achievement, which focuses on issues that affect minority students, are often more diverse than other departments, Khan said. But without data, it’s difficult to determine the exact severity of the clustering. With an absence of data, Brauer said he can only guess that this is the case at UW but cautioned that it may not necessarily result in negative outcomes. He said one reason this clustering could become problematic is if such a committee inadvertently begins operating under the mentality that issues of equity are the responsibility of one demographic, rather than having all communities engaged in these issues. When such a mentality develops, Brauer said, it can often lead to initiatives that attempt to “fix” just one target demographic. He said the outcome of such initiatives can be detrimental to the overall objective of creating an inclusive climate. 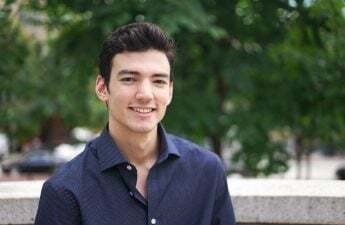 The 23rd session of ASM’s student council has pushed new highs for plurality in student government representation and Khan believes this will continue to be the case as President-elect Donald Trump’s term plays out. He and Wulf said they hope to mend any lingering distrust between underrepresented communities and ASM.